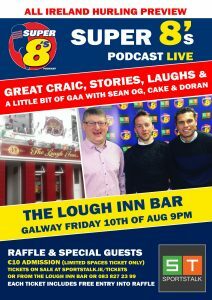 Sportstalk.ie’s popular Super 8s Podcast will be coming to Galway this Friday night to preview the big game on August 19th and also discuss both semi finals in the All Ireland Football championship. 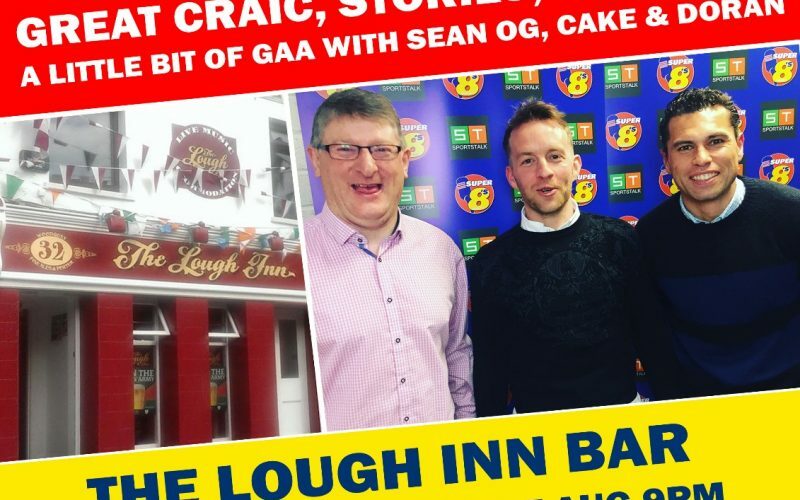 Our resident host Doran Harte former Westmeath footballer will be flanked by our hurling pundit Sean Og O’HAilpín and Football Pundit Shane “Cake” Curran as they discuss all things GAA and a little bit more. We will be interviewing some very special guests also on the night. Don’t miss this great night of fun!